Azhar Mahmood Sagar (Punjabi: اظہر محمود ساگر; born 28 February 1975) is a former Pakistani cricketer, who played Tests and ODIs. As a teenager, Azhar was mentored by Irfan Bhatti who played a One Day International for Pakistan in the early 90’s. He became a British citizen in 2011 and is now a fully qualified English cricketer in county arena. Originally his father objected to his interest in cricket, but later started to appreciate it seeing his accomplishments. When not doing net practice, Azhar would fancy himself playing tape ball cricket on the cemented pitch in the cricket ground in front of his home. Azhar Mahmood's wedding ceremony was held in 2003; his wife is British. 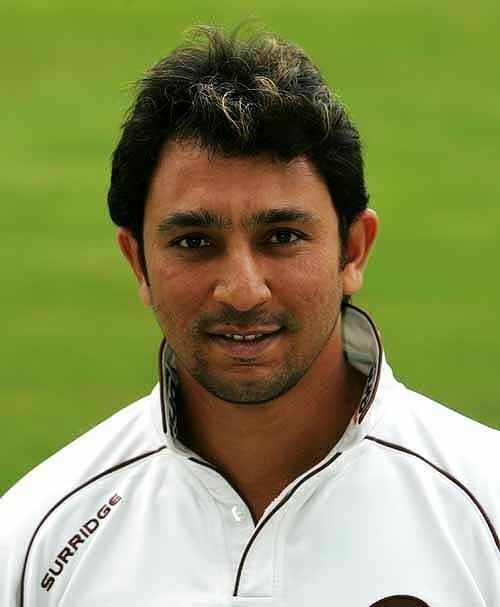 Azhar has played county cricket for Surrey and in November 2007 signed a two-year deal to play for Kent. Recently he has received British citizenship, thus allowing him to play for Kent as an English-qualified player, further distancing himself from a recall to the Pakistan side. It was announced that Azhar would be playing for the Auckland Aces as one of their overseas professionals in the 2011/12 season. 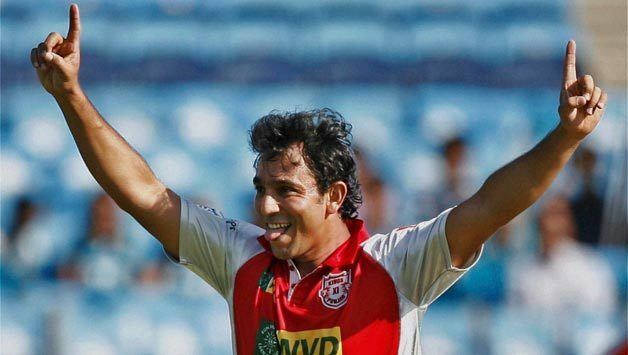 In the 2012 IPL auction, Mahmood was sold to Kings XI Punjab for $200,000, double his base price of $100,000. In 2015, he was signed by KKR as replacement for James Neesham and played a few matches but was dropped from the squad the very next season. He along with Isuru Udana set the highest 8th wicket partnership in all forms of T20s (120) during the inaugural SLPL league in 2012. Azhar made his One-Day International debut against India in 1996 at Toronto Cricket Club, Toronto, but did not gain major recognition until his Test debut against South Africa the following year at Rawalpindi Cricket Stadium, Rawalpindi when he hit a century and a half-century without being dismissed. He later went on to score two more centuries against the South Africans. He joined the Pakistani team primarily as a medium pacer but he has surprised many by his batting powers. His hard hitting but orthodox batting skills have also been extremely useful in the one-day game. Unlike most Pakistani pacers who are swing bowlers, he is a useful English-style seam bowler, who can chip in with wickets in time of need. In 2000, Lt-General Tauqir Zia, then the PCB chairman, said that the board would choose the next captain – not based on seniority alone – and if people find the choice unacceptable they will not be selected. 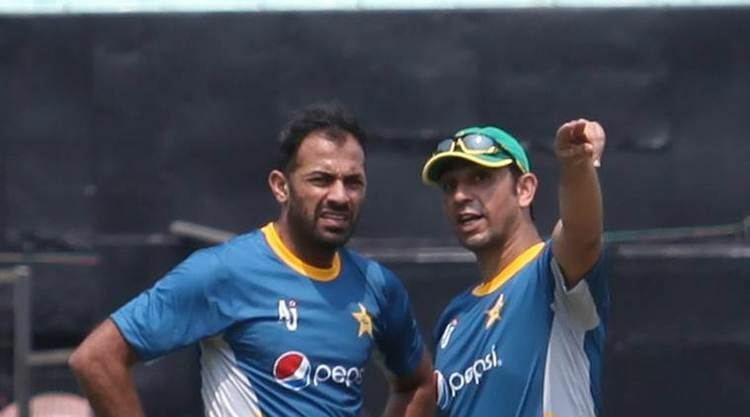 Later – in front of some senior players – he told Azhar Mahmood that he will be the next Pakistan captain. Together they would plan the future strategy. But till now this never came to pass. He was recalled to the national side for the ODI series against South Africa in early 2007, but subsequently dropped when the 2007 Cricket World Cup team was announced. He was however recalled to go with the squad to the West Indies after a knee injury to Abdul Razzaq. It was Mahmood's 3rd World Cup. However, aside from playing in a practice match, Azhar did not get a chance to participate in the World Cup and Pakistan's early exit from the tournament meant that he was once again, in line for being axed from the national squad. Following his exclusion, Azhar returned to playing county cricket in UK. Over the years, due to his constant exclusion from the Pakistani squad and the fact that he has crossed the 30-year-old mark, it seems that Mahmood is not as interested in returning to the Pakistani line up as he once was. His weight gain, mediocre performances in ODIs, combined with the tough competition for the all rounder slot in the Pakistani line up meant that his chances for making a return to the national squad were very limited. He has previously signed with the defunct Indian Cricket League (ICL) and had been released from his central contract. Wisden in 2001 included Azhar Mahmood's innings of 132 for Pakistan against South Africa at Kingsmead Cricket Ground, Durban in 1997–98 as the 8th best Test Innings of All Time in its list of Wisden 100. It mentioned – "South Africa's pace attack had more depth than at any other time in their history: Allan Donald and Shaun Pollock supported by Fanie de Villiers and Lance Klusener. No surprise that Pakistan were put in to bat on a treacherous pitch – or that they should be reduced to 89 for 5. Salvation came in the form of a 22-year-old allrounder who seemed to be batting too low at No.7: his century was already his third in six Test innings against South Africa. Tucking into a great pace bowler like Donald, he scored 96 runs in boundaries while proving himself an expert shepherd of a tail: he made 90% of Pakistan's last 106 runs. They went on to win a low-scoring match by 29."